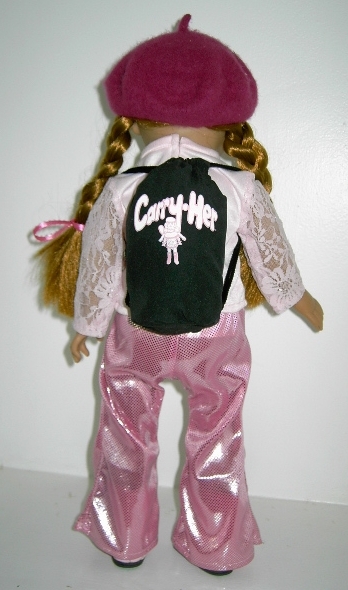 See Carry-Her® & Ro Wagner on CableVision News . 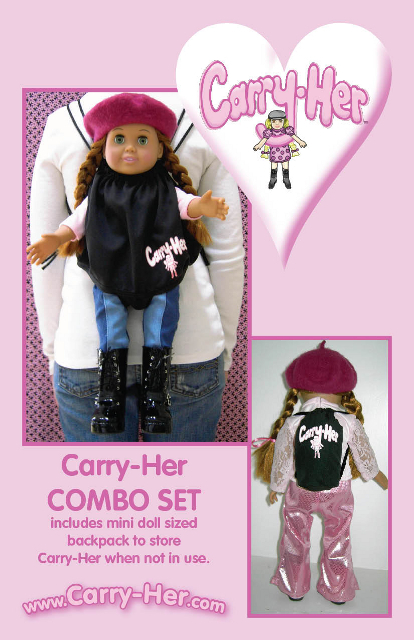 Carry Her is an easy to use doll carrier. 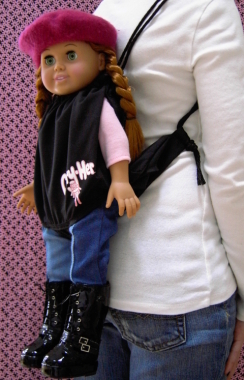 Our doll backpack fits all 16"-18" dolls, such as American Girl Doll®. 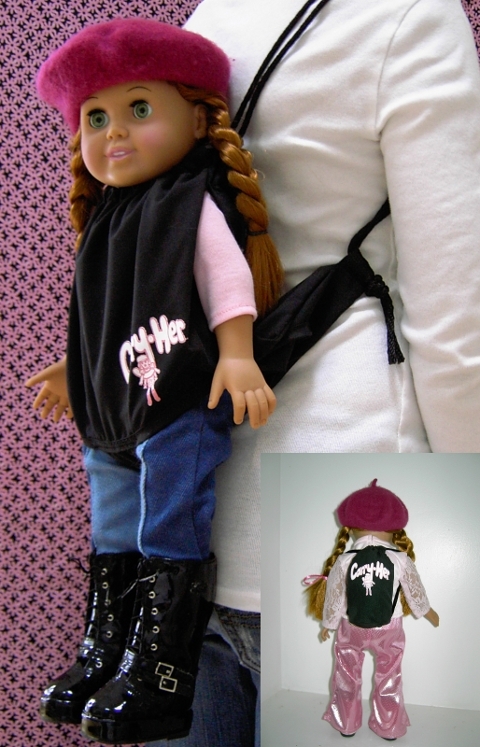 The lightweight doll backpack is a must for your next travel day with your doll. 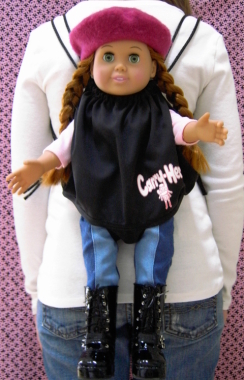 Let Carry-Her doll carrier, backpack help you carry your doll with ease.